I always over-plant my tomato garden patch and then end up with a bushel basket full of green tomatoes. (Which is fine as I love them fried) However I found that green cherry and grape tomatoes have a better...pickled they last all year and make a great savory treat. Once we get to the end of August I start picking at least half of the green once off the plants. (that gives the other ones a better chance of ripening) Only the really green ones as they stay firm and crunchy. The ones that are starting to yellow or pink could get mealy and mushy too fast. (However those can also be made into pickles and will taste great if eaten within a week or two and should not saved all year). I monitor the weather station closely in the fall for frost danger. Once the weather gets to be too cool, without much sunshine, the cherry or grape tomatoes won't ripen anyway then I clear them off the vines and pickle them. 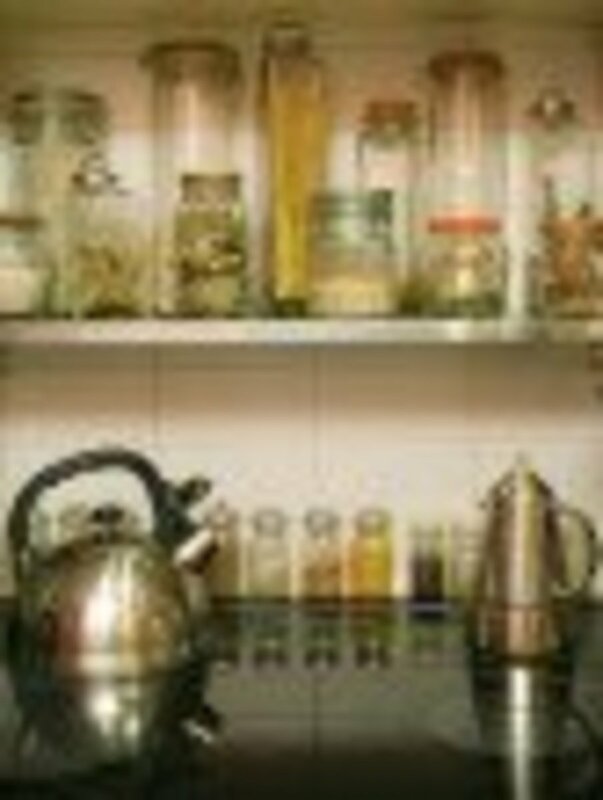 -Sterilize jars and lids in a large pot of boiling water to cover for a minimum of 5 minutes. Using tongs, lift the jars out of the hot water and place them on clean dishtowels on the kitchen counter. Leave lids in boiling water until ready to cover jars. -Divide the dill and garlic slices evenly into the bottom of each jar. -Firmly pack jars with tomatoes just fill up to about 3/4" below the top of the jar. To prevent shifting don't skimp on tomatoes and try to wedge them in as tightly as possible without bursting them. -Divide the hot banana pepper slices evenly between the jars. -Combine Brine ingredients in a cooking pot (not aluminum) bring to a boil. -Pour the still boiling brine into the jars to about a 1/4" from the top of the jars. The brine should cover all. -Allow the brine to settle and if necessary add a little more liquid to cover all. Double check to make sure there are no air bubble between the tomatoes. If you notice any insert a long knife along the side of the jar and release air bubbles then refill jars almost to the top. 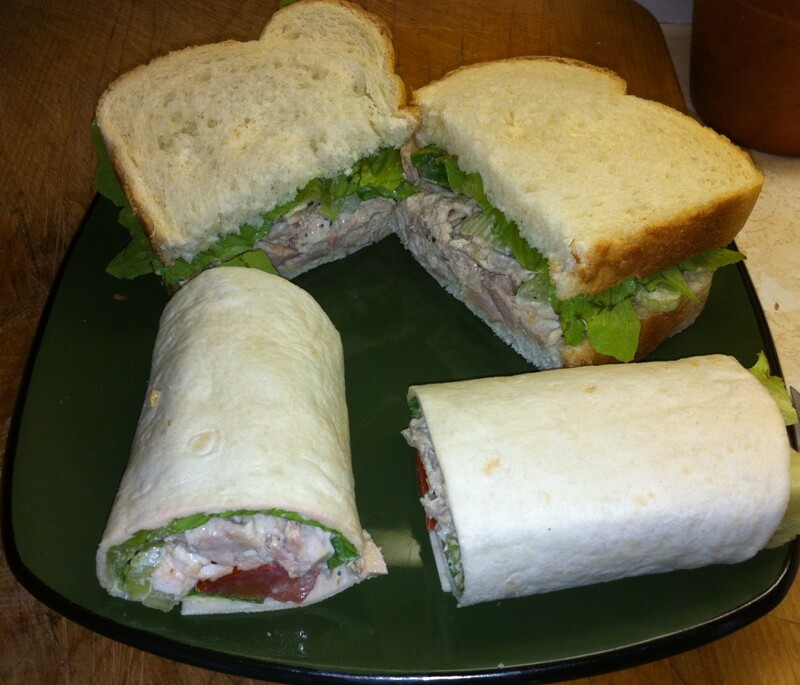 -Carefully cover with still hot lids and twist on rings. -Set jars into canner and cover with hot water---bring to a boil---let boil for 2 minutes turn off heat and let jars stand in the hot bath until cold or over-night. 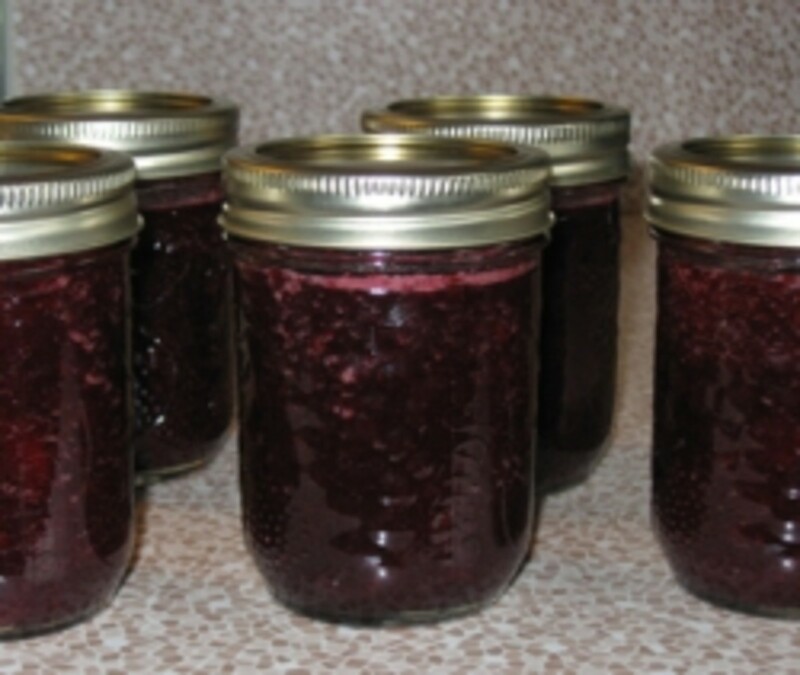 -Remove jars from canner while checking to make sure all jars are sealed. (lids are slightly sucked in) Place a cool, dark cupboard. -Ready to eat within 3 weeks. Try making this recipe by replacing half the green cherry or grape tomatoes with small shallot onions. I have a couple of gallon sized jars which I always fill with the last of the fall crop...you know the not full sized or quite ripe veggies. These bunches just never seem enough for a full meal...but put together make a great mixed batch. These jars are always a little different tasting as they're never quite the same. I have canned together with the cherry tomatoes, cucumbers, small peppers, shallots, small carrots, baby eggplant, baby zucchini, cauliflower florets and button mushrooms (I did not grow these but I needed something to finish filling the jar with, the mushrooms were really tasty). Homemade Elderberry Liqueur---Easy To Make! Bread Machine Portioned Herbal Breads! Here is the list of all 13 links to the Christmas baskets! Christmas giving on my mind! tim Hanks, it's tasty but not toooo hot. It's just right. seees, a hot and spicy thing to make face red. It seems me so tasty and brine ingredients are also adding more taste. Thank you for a spicy recipe. Forager, I don't poke the tomatoes. They're really hard and solid and I want to keep them that way. Good luck, hope you like my recipe. Thank you for the recipe! I've been searching for a good one for a while and yours sounds fantastic. I made these a few years back but they turned out way too salty, but I didn't keep that recipe so not sure what my proportions were. I just harvested a bushel of green pear tomatoes today, can't wait to get cooking! I read in another recipe to poke them with a fork, I'm assuming this is to let the brine into the tomato. Do you do this? Hiya Anna Marie, how are you? Glad to see you're back on hubpages. Hope your Mom gets to try the recipe. This recipe reminds me of green tomato relish that we always got when we went to visit my grandparents in Arkansas. My mom always has to buy some when she goes down there, because you can't find it up north. I will send this along to her! I know she would love to try it out. dznichols, Glad you like the recipe. #1, re 5% vinegar I would increase the vinegar by 1/2 cup to 4 cups, and decrease the water to 7.5 cups instead of 8. That would strengthen the vinegar percentage. My sister-in-law made you green cherry tomato pickles and they were really good. I want to make a batch in pint jars but can only fit 10 jars in the canning pot at once. How critical is it to let the jars cool overnight in the water bath? Also, how critical is the 6% vinegar? I could only find 5%. Thanks for the help! My husband loved the pickles so I want to use up my cherry tomato crop! I found your site and recipe when I was looking for what to do with my lot of green cherry tomatoes. I could only find 1/2 pint jars this time of year but at least I found some. I put up 12 jars tonight and will do a few more tomorrow. They look really pretty and my husband wasn't very happy that he couldn't eat them right away. I had a few jalepeno peppers left over so I put them in there along with some garlic. I bookmarked your site so I will stop back and let you know how they tasted! Well katie54321, not using those green tomatoes is such a waste and you're missing out on a great delicacy because they're absolutely fantastic. I don't think I'm going to pickle the green tomatoes but your article gave me (a novice at this) some good advice about preparing jars, packing full, etc. Thanks for the information. myownworld always glad when you pop in for a visit. These are my favorite pickles. I'm down to three jars which will definitely not last till I can make more next fall. Hope you get a chance to try them soon. Oh I love pickle and it goes so well with curry too (In asia, mango/lemon and olive pickle is most popular!). Am definitely going to try this....and impress my husband (and his mother! ;) Thank you for sharing..
flread45, thanks for taking a look and for commenting. 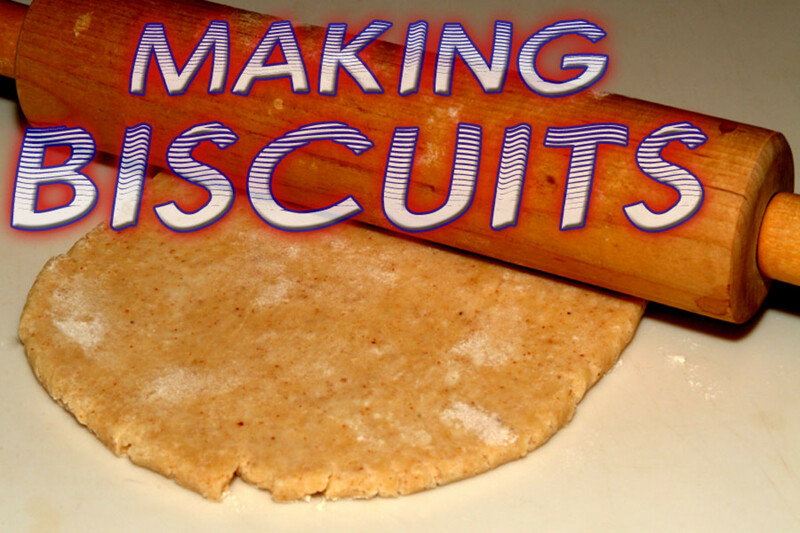 J, they're quite easy to make. I'm not sure where you could find the green tomatoes already pickled, you might have some luck in a European deli or farmer markets. I can tell you work quite hard for this recipe. Can you purchase them in any store or order them online anywhere? Chloe, glad you stopped by. It is pretty easy especially if you've made pickles before. Sounds easy - I think I'll give it a go. 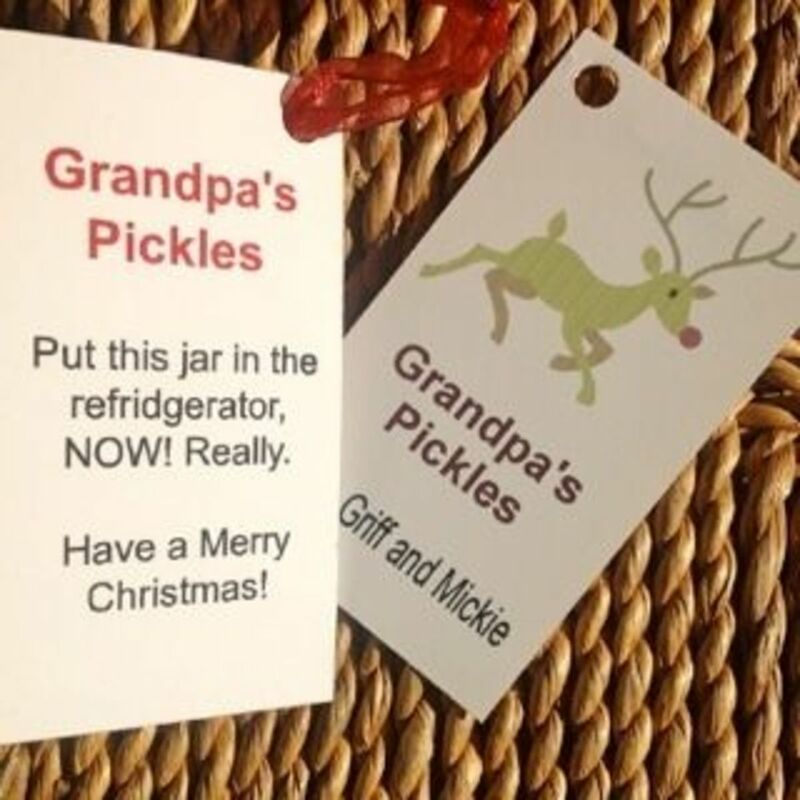 I love giving little home made food gifts at Christmas as it seems more personal so these would be a good idea. Thanks for the tips. If I have any cucumber slices left after dinner I always plop them into the hot peppers or pickles jars. Waste not want not, my motto. Glad to read you dear, when I can. I promise you will love the eggs. I buy a jar of pickled peppers or veggie mix and just take some of them out then replace it with hardboiled eggs. Let them set for about a month they will turn a gorgeous yellow and soak up that wonderful flavor. Funny they don't get hot unless you add some more hotness to them. Now I must check out some more of your recipes. Always glad when you pop in for a visit. Dear Zsuzsy Bee, I thank you for this recipe. Sounds really good. Now I need to pickle my grape tomatoes as well. Did you ever pickle eggs in hot peppers instead of beets? Another great snack. Artemus, thanks for taking a look. Hope you get a chance to try out the recipe. I had no idea that you could do this. I have several cherry tomato plants that are producing faster than I can eat them so this will give me something to do with the excess. Lisa, I take it you haven't tried pickled green tomatoes. They really are a treat. Yes please do post your salsa recipe if you haven't already. Hi Patty, to honest I really never thought much about green tomatoes not being readily available. My whole adult life if I didn't have my own space for a garden then I had one at my parent's house and have always grown my own tomatoes. Every fall we have a bushel or two of green tomatoes. The cherry ones get pickled, the large ones get cut into small pieces and are made into a kind of a salsa. (Maybe I should post that recipe too, it is yummy too) I love green tomatoes breaded and fried too though... so none will ever go to waste at my house. These are really great, with anything that you would eat pickles with. I shall have to start growing my own tomatoes as I have never seen green cherry or grape tomatoes in a supermarket or greengrocers, and I am rather curious to try them. Great sounding recipe. Bob... frost warning? you've got to be kidding!!! It's only the 27th of August. We're only going down to 10 degrees tonight here in my neck of the woods. There is a frost warning tonight this may be a good use for the tomatoes which are still green for the most part.